This is a set of 3 wooden bunnies. These stand up on the shelf, mantle, or table and look just precious! 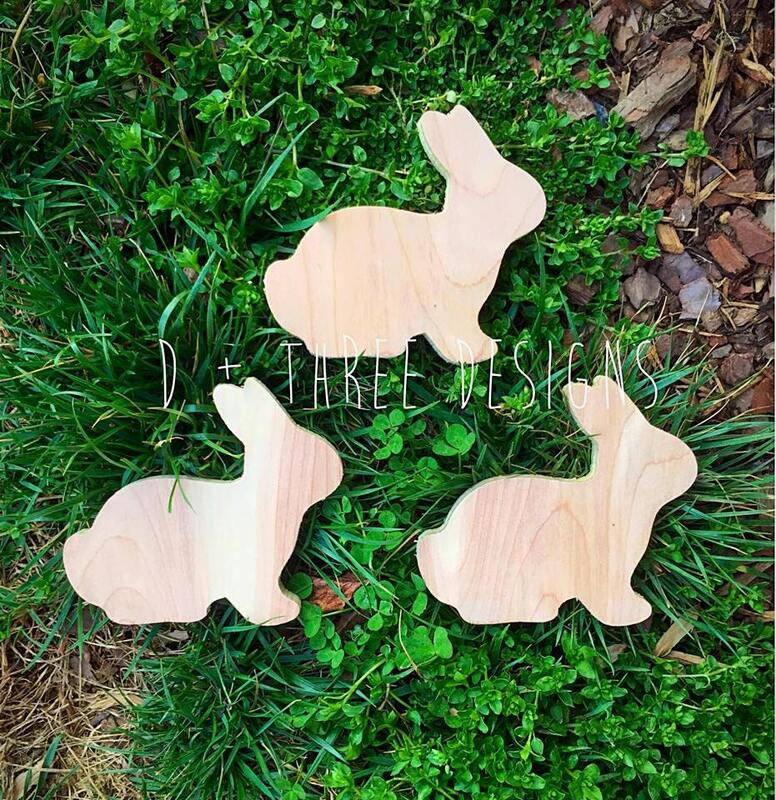 This solid wooden rabbit outline is a great Easter addition.The wooden rabbits are approximately 4" tall cut from 1/2" Birch wood and come unpainted.